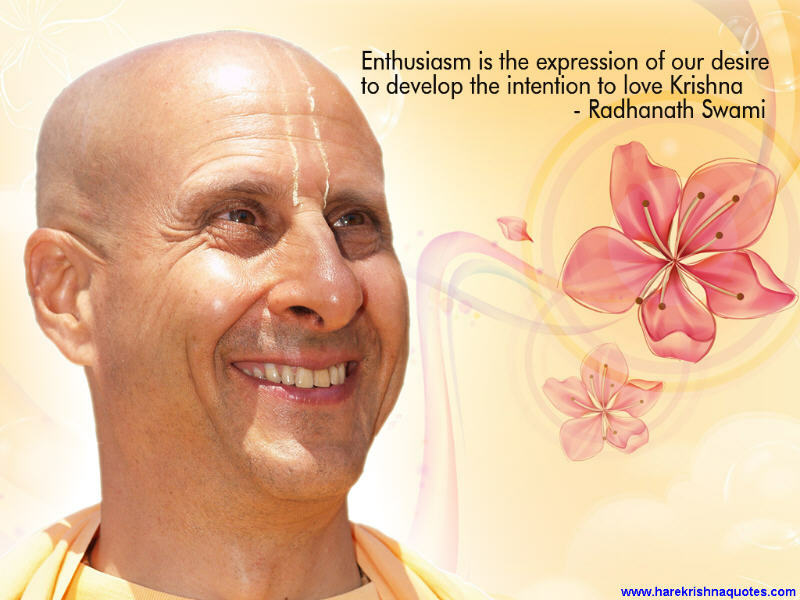 Enthusiasm is the expression of our desire to develop the intention to love Krishna. We have to be very enthusiastic and eager to accomplish wonderful things for God, but it must always be with a focus on the higher principle. It must always be harmonized with the higher principle of pleasing Him. If we chant and hear enthusiastically, then memory will come. 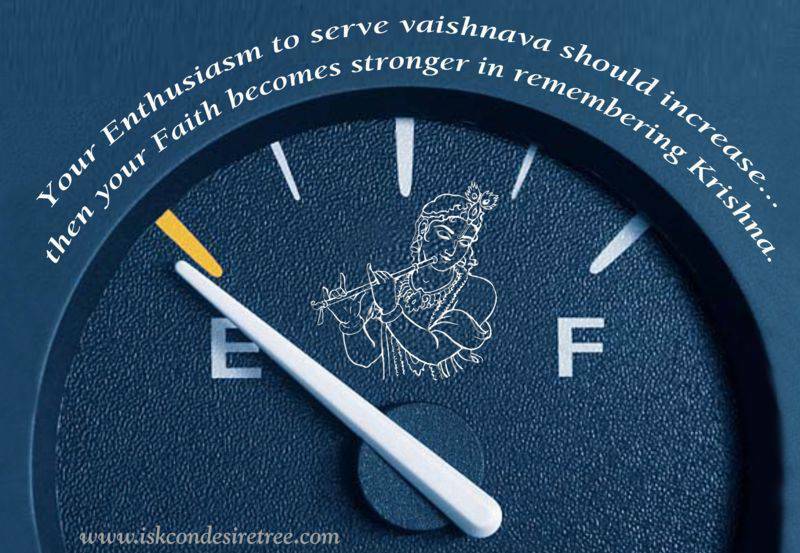 All devotional expressions – be they japa, harinama sankirtana, preaching, studying, serving guru, cooking for Sri Krishna, or any seva should be done with enthusiasm. Enthusiasm and Joy is the key to bhava and prema. Enthusiasm and eagerness in service is the difference between a hollow ritual and a genuine act of devotion.